I may be the office admin at Filament Games, but my background is in informal science education and I spend my weekends working at the Madison Children’s Museum as the STEM Program Specialist. The museum hosts once a month Free Family Nights and I decided to combine my two jobs for a night of fun. This was an especially good opportunity to put my jobs together, because Filament Games has just finished a set of apps designed to go with Publications International’s new Virtual Reality Exploration kits, available on Android and iPhone. I decided to use these educational apps, as well as some others, to introduce children to the world of VR. While rollercoaster simulations were popular, the six Virtual Reality Exploration apps held first place as the stars of the show. All the apps were popular, but the kids seemed to be most excited about “Space” and “Animals” with “Dinosaurs” following close behind. Space was fun to walk on the moon and see the Earth from far away. 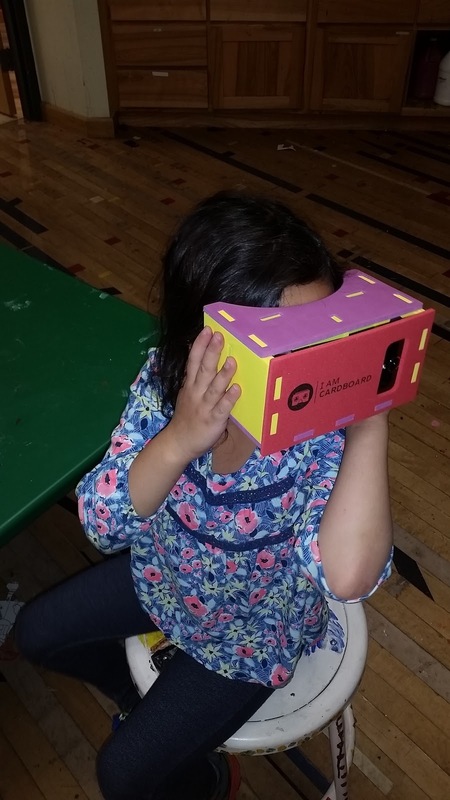 One little girl enjoyed the “Animals” app so much, she spent 45 minutes sitting next to me, spinning around in circles and often pulling me aside to look in her cardboard viewer to see whatever had caught her interest. 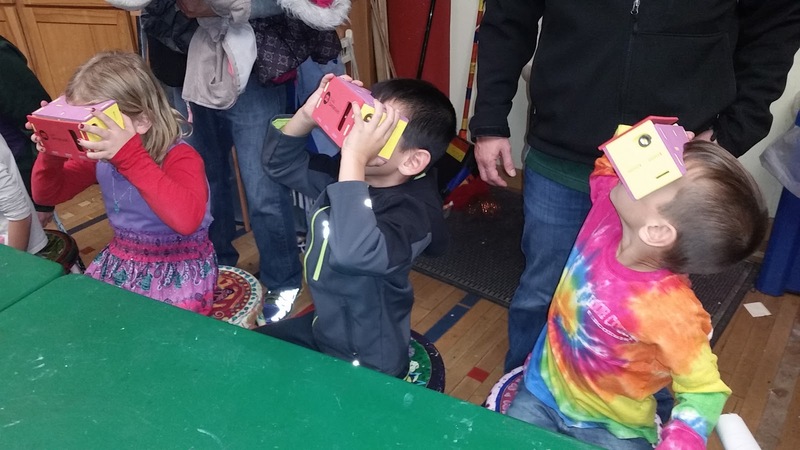 Several different families came back again and again to play with the virtual reality apps. It was wonderful to watch the intergenerational learning experiences as they happened. 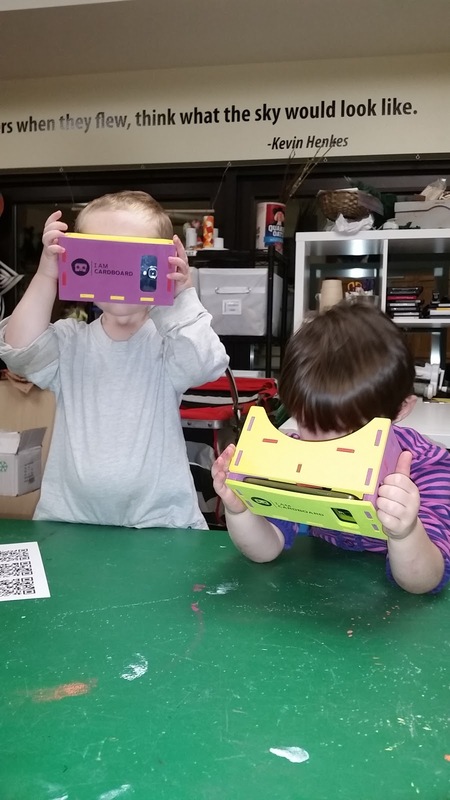 Sometimes a parent and child would load up the same app and explore it “together,” commenting on the different things they were seeing. Other times you’d just see a kid and parent exclaiming excitedly about the various things they were seeing and then switching viewers. Do you want to experience this for yourself? 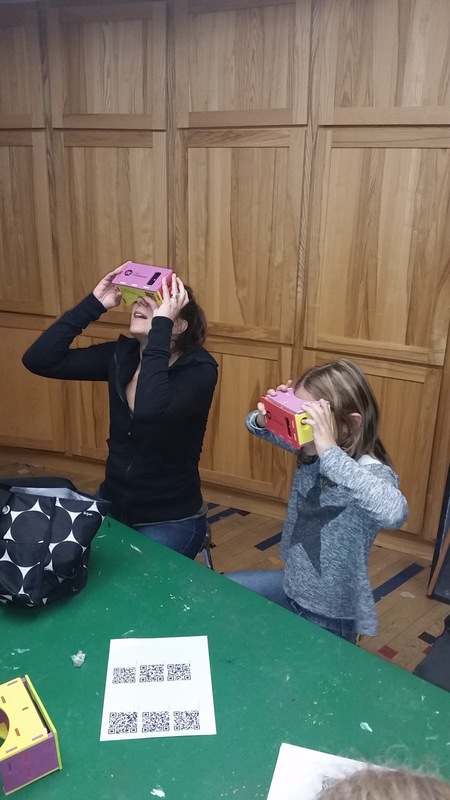 Check out Publication International’s Virtual Reality Exploration Kits in the toy section of your local Costco!